Food truck season is visible beneath the the foot-plus of fresh snow, we promise. The Greenway’s 2018 Mobile East season begins Monday, April 2. But some very familiar fare will not be parked in the park this spring. Mei Mei just announced that, as part of a shifting focus of its business, it is retiring its food truck from vending on the streets of Boston. 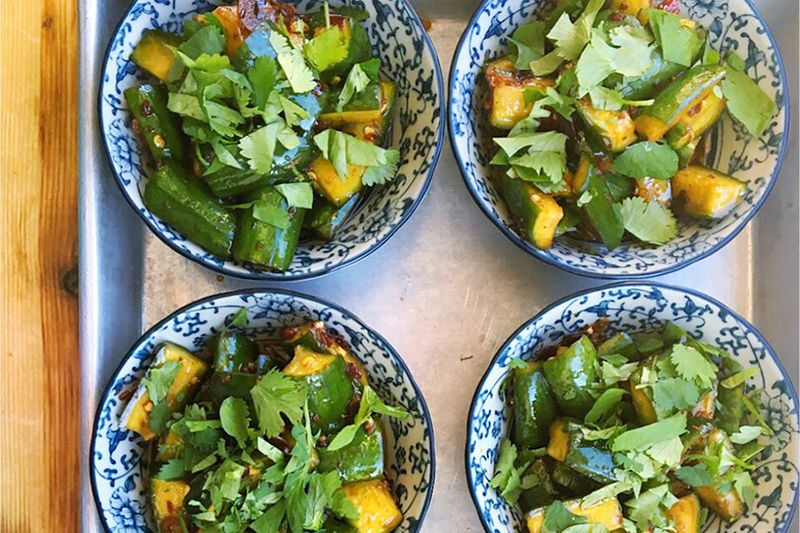 The creative Chinese-American restaurant group, which expanded in 2013 with a permanent location on Park Drive, will continue to use its mobile kitchen for private events, for those couples who want their wedding to be double awesome. But “It’s time for us to open up spots for new food truck entrepreneurs in the city,” owner Irene Li wrote in today’s email newsletter. 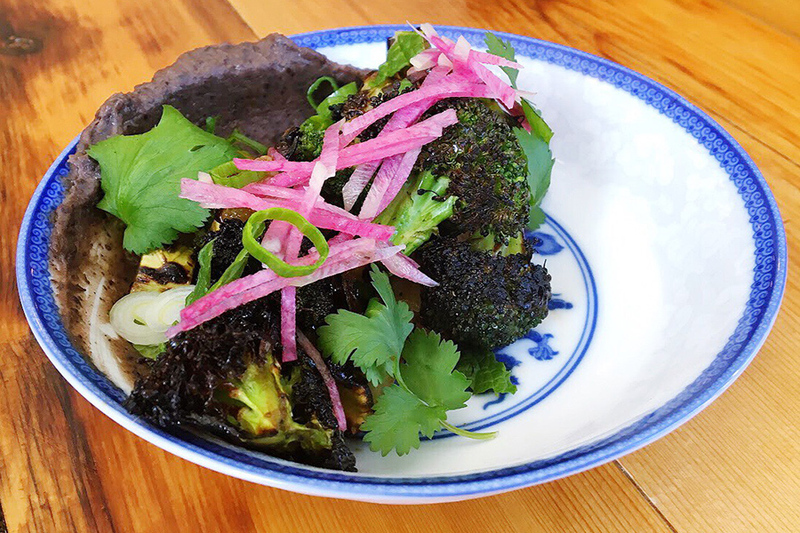 To start, the menu is pretty vegetable-focused, with new small plates like “Beets by Mei,” with chili-roasted beets, radishes, wheat berries, mint, pepitas, and a ginger-soy dressing; and black bean spread with broccoli for dipping. 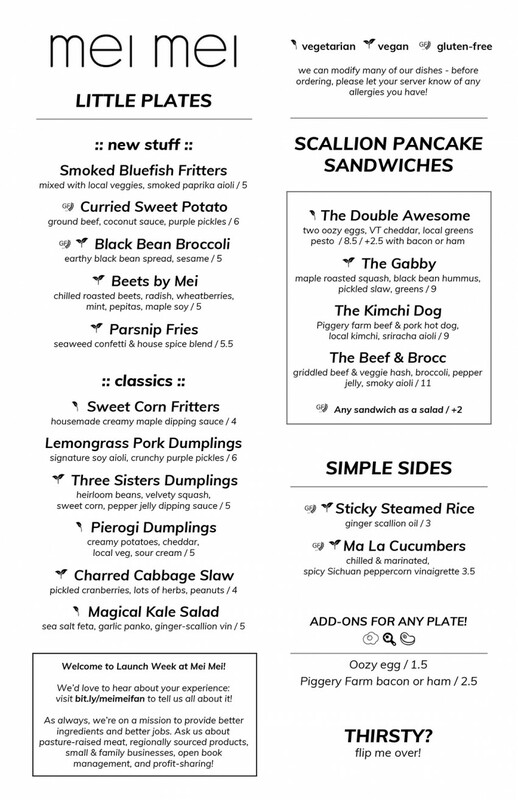 Some new scallion pancake sandwiches join the iconic Double Awesome, including a “Beef & Brocc” version, and a vegan option with maple-roasted squash and black bean hummus, called the Gabby. More new dishes will be rolled out next week, Li says. 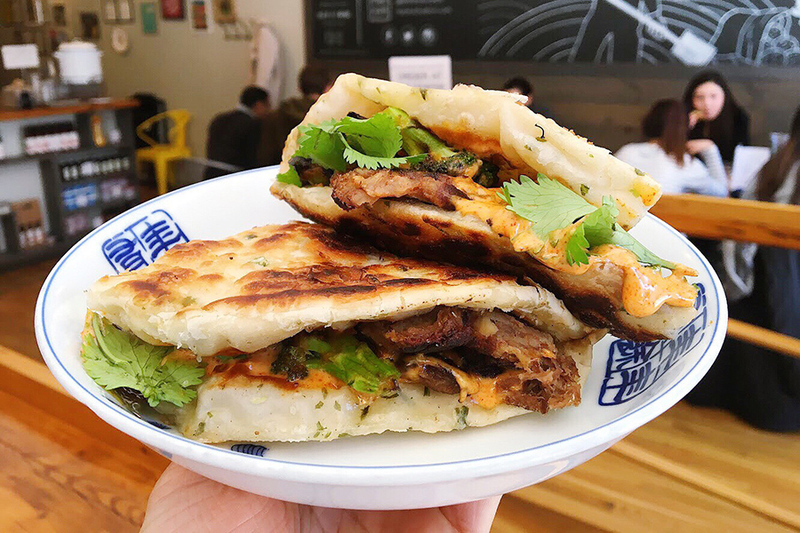 Mei Mei Street Kitchen favorites kimchi fried rice, cumin lamb dumplings, and handmade mantou (steamed buns) are being retired, but they may return as specials, Li added. Other dumplings remain, and the new service setup will allow Mei Mei to host more make-your-own dumpling classes. “We’re excited to have a consistently casual service that can accommodate more diners with different diets and budgets,” Li wrote in today’s blog post. The move will also ease the burden of managers who are spread thin across a couple forms of service, she elaborated over a phone call with Boston, and will also make it easier to cross-train employees in both back- and front-of-house responsibilities. Changes are also coming to Mei Mei’s catering options. Starting March 27, you’ll be able to order scallion pancake sandwiches (and salad bowls) from that menu, among other changes, Li said. 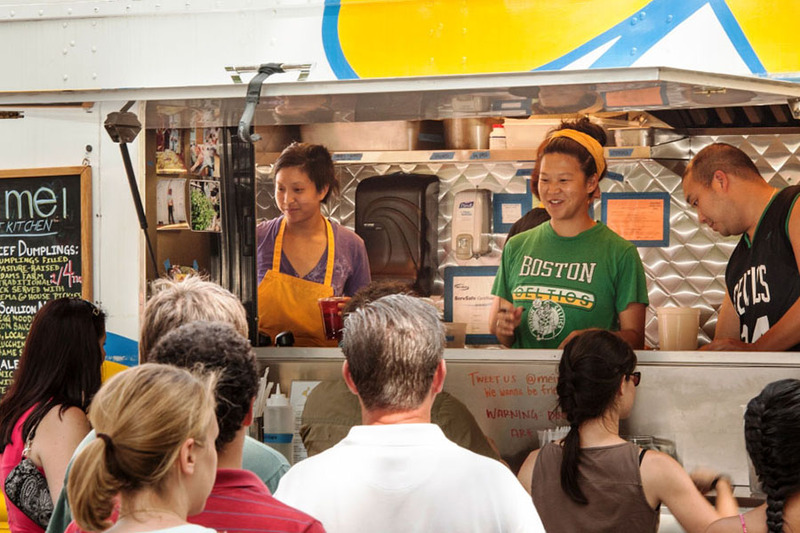 Li started Mei Mei as a food truck with her older brother, Andy, and sister, Mei, in 2012. Since Mei has moved to Atlanta with her family, and Andy has launched a beer catering company called the Beer Mobile, Irene is officially taking over Mei Mei operations, she said today. But she has been the face of the family business for the past year-plus. Li has multiple Rising Star Chef nominations from the James Beard Foundation, 30 Under 30 nods from Zagat, and other awards, not just for her craveable dumplings, scallion pancake sandwiches, and fried rice dishes, but also her commitment to positive social change. Mei Mei has always championed sustainability, from a ingredient-sourcing perspective as well as a staffing one. It was the first Boston-area food truck to commit to selling only local, pasture-raised, and humanely slaughtered meats. In 2017, the restaurant group opened its financials up to its employees and started profit-sharing. In today’s note, Li shared that the food truck has stopped being as important for Mei Mei’s bottom line profits, citing the same reason that Ayr Muir did when he took Clover’s trucks off the road last year. In recent years, Mei Mei’s mobile vending was used more as a marketing tool and staff training mechanism. Li candidly added that Boston winters are difficult for a street-side business, and that the food truck field is more crowded now than it was six years ago. The changes announced today are looking “towards future expansion and deeper community building work,” she said. “We’ve got some fun new bits and bobs up our sleeves—a loyalty program, a smidge of restaurant remodeling, new biodynamic wines, and so on,” Li teased. Mei Mei will also release a cookbook in 2019. 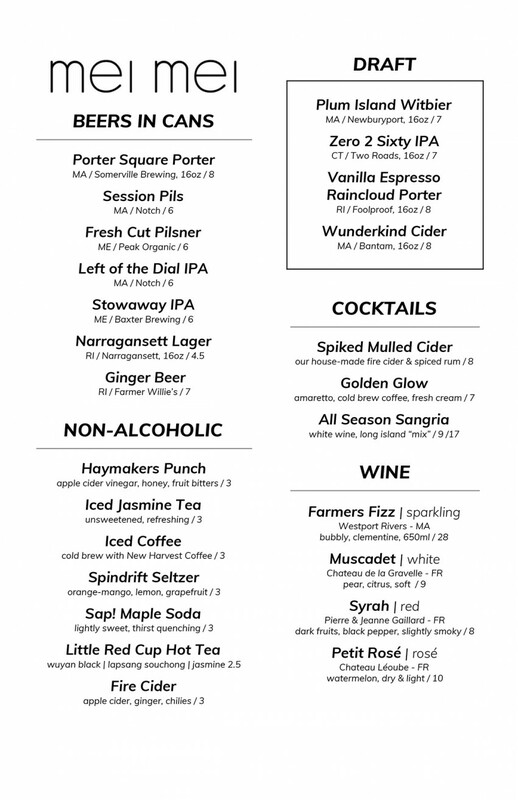 UPDATE, Tuesday, March 20, 1:30 p.m.: This post has been updated with the debut counter-service menu, and more information from Irene Li.